One Last Push for 1K signatures! Extended to Tues.10th Nov.
Part of Bogle L’ouverture’s genesis, Dr Walter Rodney’s name, work and image remain pivotal to FHALMA’s work and legacy. Yet successive Guyana governments try to expunge Rodney from Guyana's history. 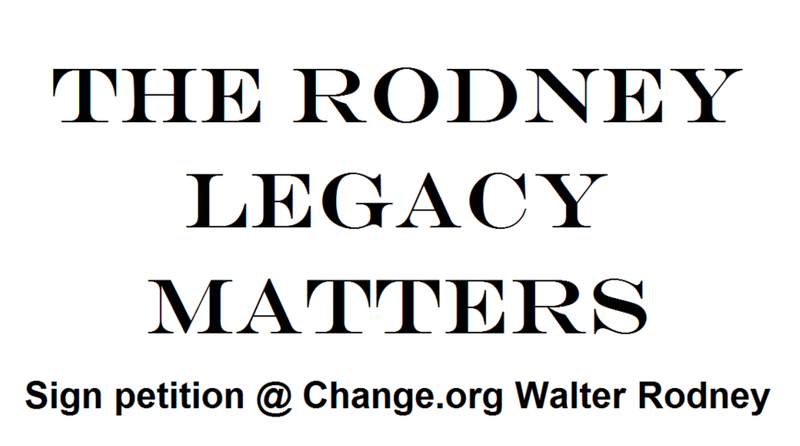 The new Guyana government, right now, continues to efface the work of the first Walter Rodney Commission of Inquiry into Dr Rodney's 1980 assassination. They seek to frustrate the proper completion of this - or any real inquiry, while more key witnesses die, records disappear, evidence degrades. And we forget? That's why we started this petition. Will you take 30 seconds to sign it right now? Here's the link with further information. We seek your urgent support for our campaign to salvage some justice for this distinguished son of Africa, educator and author of How Europe Underdeveloped Africa. 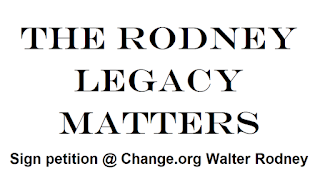 It is crucial to raise the profile of the Walter Rodney Commission of Inquiry into Dr Rodney's assassination as the last chance to secure vital historic records - before its too late, and remind the Guyana government that Rodney's legacy matters, beyond Guyana. The new Guyana government continues to efface the work of this Commission of Inquiry into Rodney's assassination by denying the two more weeks it requested to properly complete its work. They seek to frustrate the proper completion of any real inquiry, 35 years on, while more key witnesses die, records disappear, evidence degrades. And we forget. We'd also be grateful if you would urgently circulate to students and social justice contacts.